Welcome to the Australasian Institute of Health and Healing. In our dedication and commitment in providing quality education, the Institute has gained National industry accreditation. Our hypnotherapists, psychotherapists and counsellors are working in a variety of health care public, private organizations, state or government departments. As more hypnotherapists and psychotherapists work in conjunction with medical specialists, many clients are gaining well-being and health, by integrating complementary mind and body therapies. Our 'complementary' customized programs for medical specialists, general practitioners, dental professions, nurses and teachers focus on a supervised professional practice approach using a range of therapeutic techniques. These programs are a part of our philosophy in treating the whole person and integrating therapies of mind, body and spirit towards well-being. The Australasian Institute of Health & Healing is a Training Organization. In our dedication and commitment in providing quality education, the Institute provides a professional hypnotherapy course. Our professional therapy centre, the Australasian Institute of Health & Healing provides effective mind and body solution therapies to assist in the well-being, vitality and health of individuals. Our Centre provide effective therapies to treat the person's physical, emotion, mental and/or spiritual dimensions. Our highly qualified and professional service is focused on the achievements and success of the individual in their journey to health and well being. The techniques are safe and non-intrusive, suitable for adults and children. 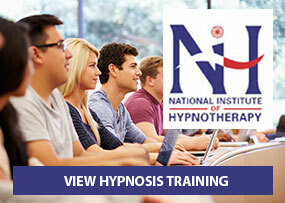 Promote the awareness and benefits of hypnotherapy and psychotherapy to the community. Provide a range of solution therapies that empower the individual to initiate and promote self healing. Assist the individual to reconnect the mind, body and spirit. Provide a range of therapeutic techniques suitable to specific issues. 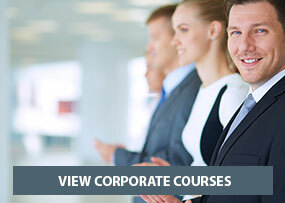 Ensure a high standard of excellence and professional practice is maintained. Ensure that the code of ethics and code of conduct are adhered to. Many Medical Practitioners refer their patients to our Clinic for the treatment of anxiety, depression, insomnia, stress, fears and phobias etc. Certified Clinical Hypnotherapist, licensed Clinical Hypnotherapist registered with the Clinical & Medical Hypnotherapists’ Board of Australia Inc.
Members of the Association of Professional Hypnotherapists and Psychotherapists U.K.